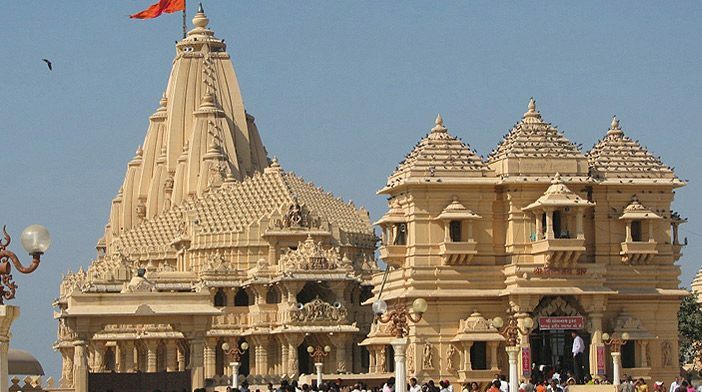 Somnath Temple is one of the greatest temple of India located in Gujarat. The construction of the present temple in Junagadh district began in 1950. It is located about 79 kilometers from Junagadh in the Prabhas Kshetra near Veraval. Meaning of Somnath is the protector of God moon. 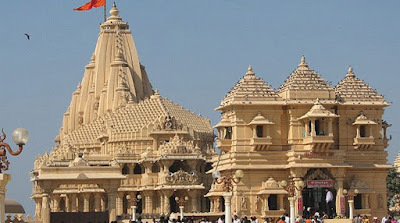 The other name of famous Somnath Temple are Deo Pattan, Prabhas Pattan, or Somnath Pattan. 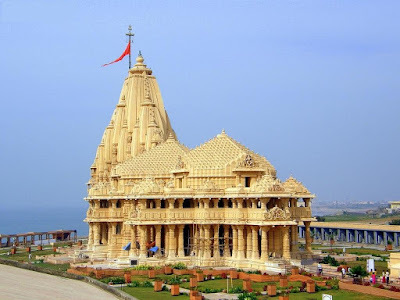 The Somnath temple is home to one of the Twelve Jyotirlingas shrines (are place where Shiva appeared as a fiery column of light) of the god Shiva, which is considered to be the most sacred lingas in the Hindu pantheon. The first temple of Somnath was built before the commencement of the Christian era. Second temple was built by Yadava King of Vallabhi in November 1947. In the past the Somnath Temple was known as the treasure trove of wealth and goodies that were looted away by Muslim ruler. In the year 722, Junamad, the Sindh Subhedar attacked it for the first time and looted innumerable items from its treasure. Wonderful statue of Somnath can be seen from the center because of the miraculous magnetic power. Ghajni Mohammed, destroy this statue on Friday, 11th on May 1024 A.D. 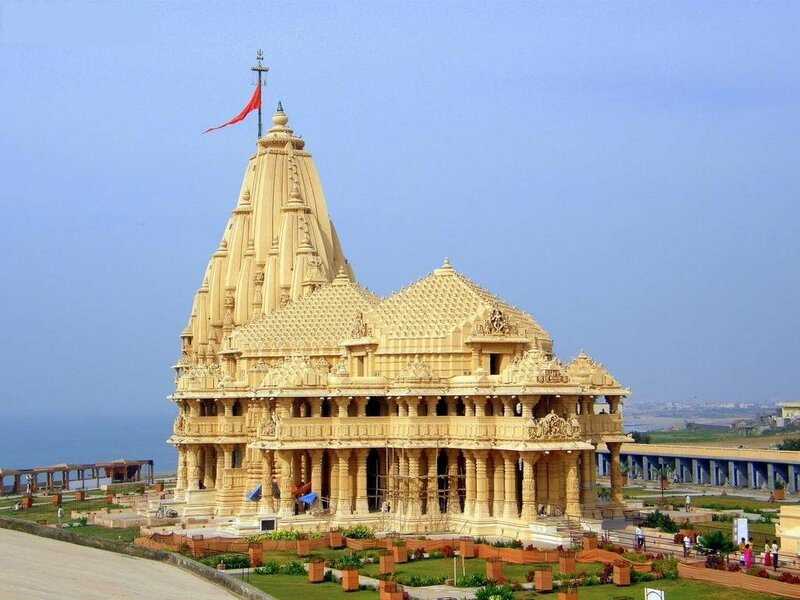 The Somnath Temple is an ideal example of the ancient Indian temple architecture. According to legend, Soma, the moon God constructed the sanctuary in gold, Ravan in silver, Krishna in wood and King Bhimdev of Ahilwad in stone. Soma constructed the temple as a gesture after Lord Shiva cured him of his ailment. This disease was created by his father-in-law Daksha Prajapati's condemnation. The surprising thing about Somnath is that from Somnath Se-Shore there is no stair light land up to the Antarctica. 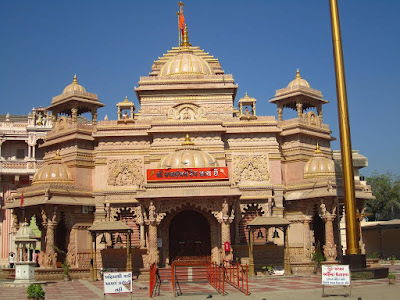 In present Somnath Temple is built in Chalukya style which is also known as Kailash mahameru Prasad style. This style is reflects the Sompura salats skill which is one of the Gujarat’s master masons. 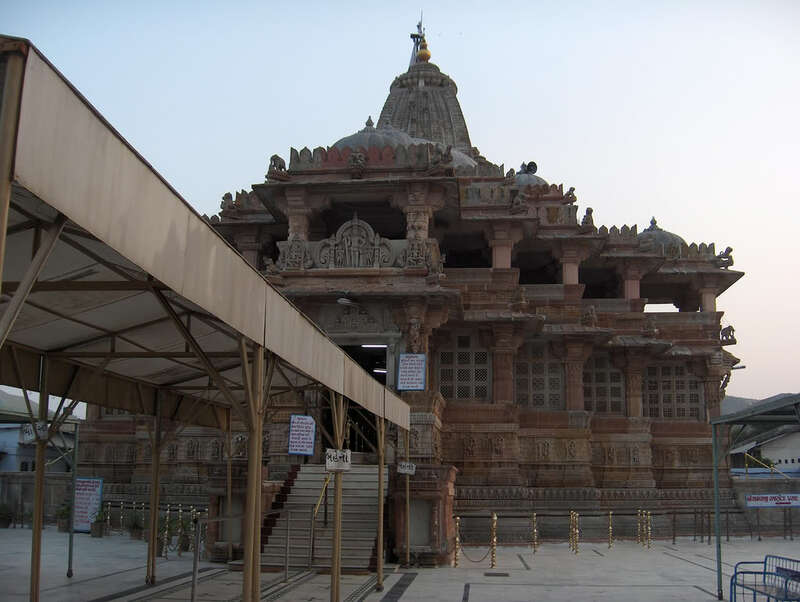 The Dwarkadhish Temple, which was also known as the Jagat mandir (universal shrine) or Trilok sunder (the most beautiful in all three worlds), is a Hindu Temple. It was the Capital of Lord Krishna’s terrestrial kingdom. The Nij Shikhar is where the idol Dwarkadhish is placed. Originally built by Vajranabh, the great grandson of Lord Krishna, more than 2500 years ago, it is a great structure appearing to rise from the waters of the Arabian Sea. This sanctuary is built of soft limestone and consists of sanctum, vertibule and rectangular hall with yards on three sides. There are two gateways: Swagat dwar(gate of the heavens) and moksha dwar (gate of the liberation). The Dwarkadheesh sanctuary was situated on the banks of river Gomati. He moved to Kusasthali which was the old name of the district to escape the annoying attacks of Kansa's father-in-law Jarasandha on Mathura after Krishna had murdered Kansa. Kusasthali was Krishna’s familial place on his mother’s side. Dwarka which was known as Suvarn Dwarka. The Dwarkadhish temple and its shikhar rise to 170 feet. The flag of the sanctuary is changed three times a day. The Sarangpur Hanuman temple murti will be placed on golden throne during “Kastbhanjan Devta”. The golden throne is 25 kg in weight and its cost is ectimated at Rs.11 crore. As Tuesday and Saturday is devoted to Hanumanji. 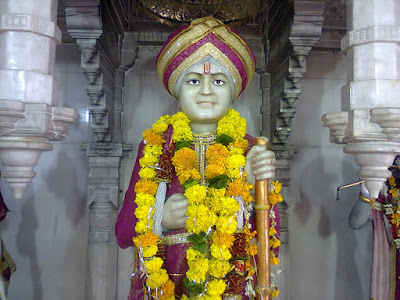 Shree Jalaram Bapa was born in the year 1799 AD in the town Virpur, Gujarat. His mother, Rajbai was abnormally attached to serving sadhus and sants. No sadhu and sants could go from Virpur without accepting the kindness of Rajbai. Shree Jalaram Bapa's father's name was Pradhan Thakkar, who was settled with business. At the age of 18, Jalaram Bapa received Shree Bhojalram from Fatehpur as guru and was given a "Guru Malaa and Mantra" in the name of Shree Ram. The "Samadhi" of Shri Jalaram Bapa is on the feet of God Shri Ram Chandra. Jalaram Bapa is also known as greatness of the saint of Virpur. 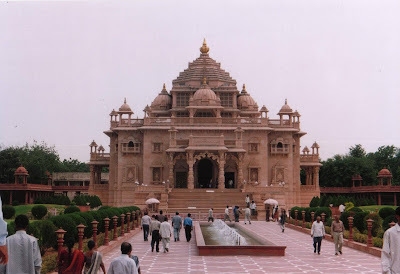 Akshardham is one of the biggest temple in the Gujarat. The temple complex dedications, exhibitions, craftsmanship, structural planning, training and exploration at one spot. The landmark which is situated in a 23-section of land plot at Gandhinagar is assembled in pink sandstone. It is 108 feet tall and 6000 tons of stone has gone into its making. A point significant is that this advanced landmark to Hinduism was manufactured according to the directives of Vastu Shastra. Not a touch of steel has been utilized. In Nov' 1992, Akshardham temple was initiated by Pramukh Maharaj himself, the promoter of BAPS. Now a day, Akshardham temple has changed into a major and well known fascination amongst the significant others and tourists. Akshardham temple is a standout amongst the most grand structures of present day India. Inside the complex of Akshardham, untruths an excellent greenhouse known as Sahajanand Van. As per the Swaminarayan philosophy at whatever point Lord Swaminarayan incarnates on this planet he carries with him his Akshardham. The Sat-Chit-Anand Water Show reveals India’s old mystery secret of inner light through an Upanishadic story of Nachiketa, a nine year old boy, who bravely confronts Yamraaj, the God of Death, and receives from him the knowledge that has made India, a land of enlightenment. 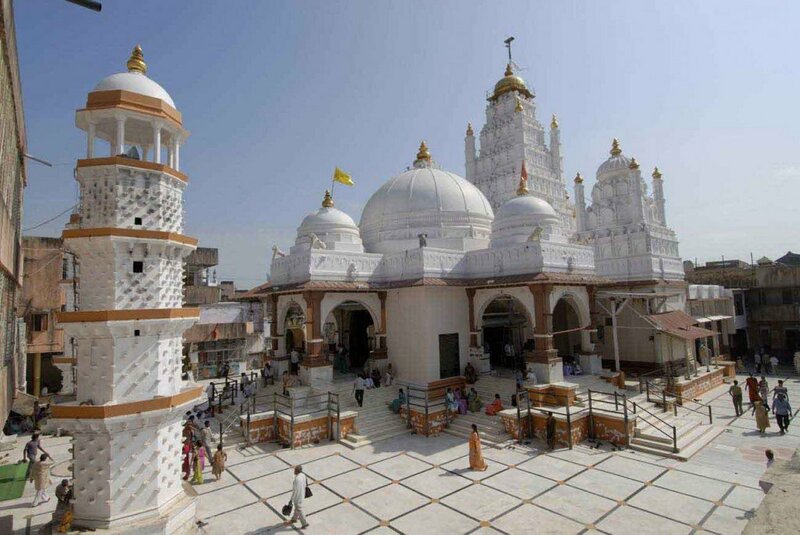 The famous temple of goddess Bahucharaji situated in Bechraji Town close to the Patan district of Gujarat. The a large number of Hindu devotees visit the temple consistently. Bahucharaji is one of three blessed Shakti piths in Gujarat. "Bahuchar Mata" is the saviour goddess of the women society who summon her intercession in aggressive behavior at home and issues inside the family. There are 3 temples of Bahucrarji - "Adyasthan" is the first temple, as long as the center temple is known as 'Madhyasthan'. There is a Varkhadi tree around the city where it is accepted the Goddess had appeared. The first temple "Adyasthan" was constructed by Manajirao Gaikwad Sarkar in year 1839 AD. He is Maharaja of Baroda. Fairs are held consistently, in the months of Chaitra and Ashadhi purnima. Bahucharaji temple is open from 5:00 am to 9:00 pm and puja of "Bahucharaji Mataji" are conducted from 7:00 am to 11 am. Bahucharaji temple is 100 km far from Gandhinagar and 110 km from Ahmedabad. Bahucharaji Temple is a well-known religious place of Hindu religion of Gujarat. Shamlaji Temple has a statue of Lord Krishna as "Shamdiya Bhagwan". There are three Vishnu temples of Gujarat - Dakor, Dwarka and Shamlaji are the ultimate critical place of journey, as well as are the best Vishnu temples as well. What's more, among this three once more, the Shamlaji temple is consider as the best for its creative magnificence in figure and construction modeling too. While Dwarka temple has the organization of the Ocean, Shamlaji temple lives with the Mountains, backwoods, and the excellence of the River Meshvo, streaming nearby. The "Gadadhar" picture of the lovely temple is extremely appealing. Sakshi Gopal or Gadadhar is a dark representation of Lord Vishnu adored at the Shamlaji Temple. This is one of the uncommon temples of Lord Krishna in which bovine symbols are additionally loved delineating his youth as a cowherd. Whatever the Gadadhar picture of the temple helps us to remember the excellence of Ranchhodrai temple of Dakor. This picture is 130 cm tall, produced using wonderful dark marble, to present the Chaturbhuj type of Lord Vishnu. A Gate with heroical cut elephants permits you to enter the temple premises with a huge open ground in the front, through the seven-layered temple toward the end of it. There is a excellence of theory about the relic of this temple , however. Still, for the most part acknowledged time is basically between 400 to 500 years prior. Shamlaji temple has stone designing in its external part with symbols of divine beings, sprites, artists and heavenly dance specialists. Shamlaji temple stands on the banks of the Meshwo river, in love of Lord Vishnu. The Meshwo river canal wanders over its rough bed in the valley quickly under, and the waters of an stunning common lake, of awesome magnificence shimmer in the midst of the very much green slopes. As per the one story an Adivasi find out the icon of Lord Shamlaji while furrowing his land. He loved it by lighting a light ordinary and was honored for his confidence by having a rich yield in his homestead. Learning of this, a Vaishnava shipper assembled the temple and introduced the symbol in that, which was later decorated by the Idar rulers. All the more as of late, an unmistakable business family further remodeled this temple. Another legend has it that Vishwakarma, the modeler of the Gods, developed this temple in one night, yet as it was morning when he finished it, he couldn't bring it with him and needed to return abandoning it here. The inward columns have base of squares, or rectangles or rounds. The series of blooms circle these as far as possible up. The external dividers however are plentifully shaped all around. There are figures of divine beings and goddesses, of men and incalculable creatures, topographical plans and huge variety of blooms. Among these the design of figure are amazing where the scenes are indicated from the legends of Mahabharata, Ramayana and even the Bhagvatgita and different Puranas. In keeping with the demonstrated outlines, in the divider corners littler pictures of divine beings and goddesses like Indra, Agni, Varun, Saraswati, Shiva, Ganesh, Indrani, vayu, Chandrika and others are likewise introduced. The cutting of Kuber is significant. The Shamlaji fair goes on for about 21 days, around the month of November. Kartik Purnima (Full moon night) is the most necessary day for the reasonable. This is the biggest fair of the whole Gujarat. The Shamlaji temple is held at Shamlaji arranged in the Sabarkantha district (after August 2013 known as Aravalli/Modasa area) close to the outskirt in the middle of Gujarat and Rajasthan on the NH No. 8. It is around 122 km from Ahmedabad and around 32 km from Himmatnagar. Dakor city is located in the Kheda District of Gujarat State in India. 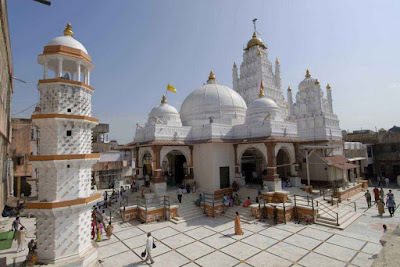 The place is distinct for its fantastic temple of Shree Ranchhodraiji. And Shree Ranchhodraiji Temple is a revered place for the followers of Lord Krishna, bearing the conch, lotus, discus, and mace in his four arms. The present temple was constructed by Shree Ranchhodraiji Temple in 1772 A.D. at the expense of rupees one lakh. It was built with block dividers and stones columns. It is raised on a high plinth of 168 feet by 151 feet with twelve stone steps on each side and surrounded by a spacious courtyard. The temple has 4 gates to the huge walls on the outside of the complex, placed significantly. It has 8 domes and 24 towers, the height of them being 90 feet. The main doorway of the Ranchhodraiji Temple overlooks the banks of the Gomati River. According to one legendary story very well known about Gujrat-Ambodi Brahmins who wanted to take back the idol of Lord Krishna from Dakor to Dwarka. Respectively these Brahmins were given gold worth the heaviness of the idol and Lord Ranchhodrai was measured as small as the ring of Gangabai - wife of Bodana. The place where the deity was weighed is still exists near Gomtighat. The Temple opens at 6.45 AM in the morning and shut down at 7.30 PM Evening between which there are eight darshans - Mangla, Snan, Bal Bhog, Shringar, Gwal Bhog, Rajbhog, Utthapan, Shayan. Dakor was known as 'Dankor' after the name of Dankanth Mahadev. It was established as khakhariya because of many khakhra(palash) trees in the vicinity. 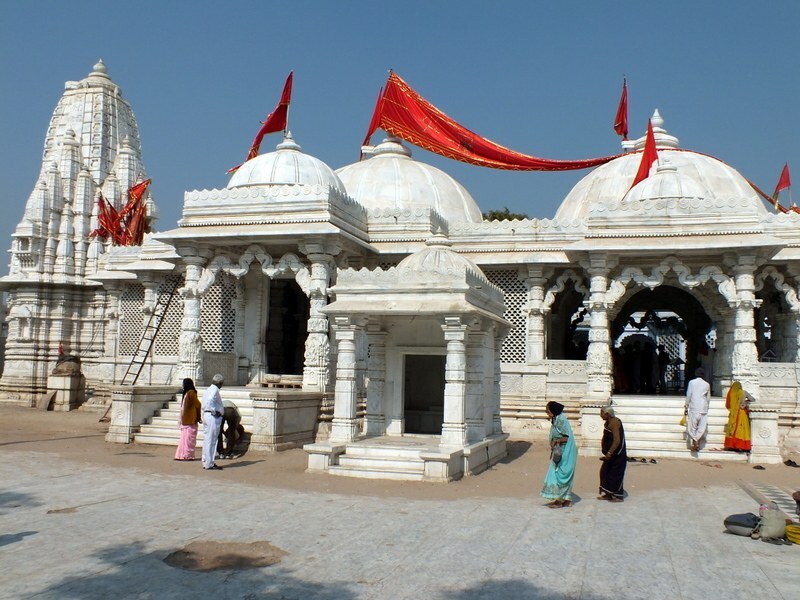 Shree Ranchhodraiji Temple located in Dakor, at a distance of 70 km from Vadodara. Constructed in 1026-27 A.D during the reign of King Bhimdev of the Solanki dynasty, the temple is dedicated to Lord Surya or the Sun God. 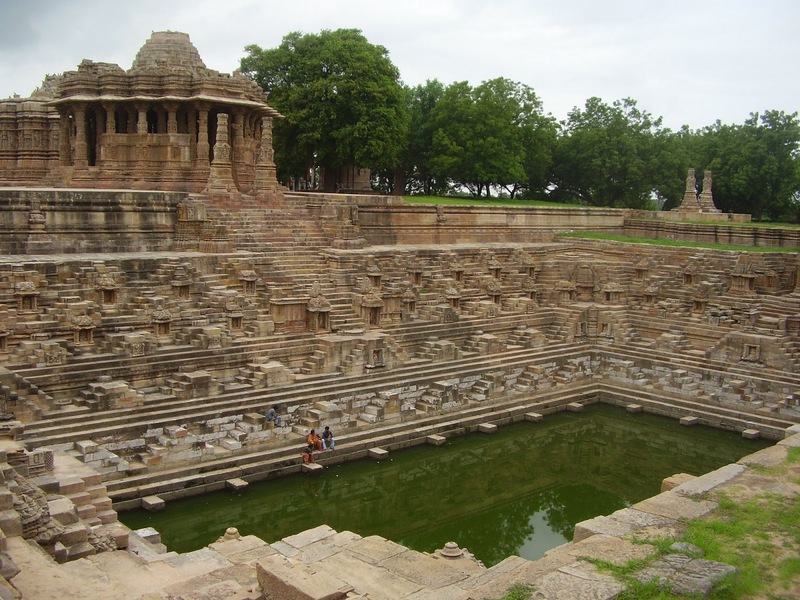 The temple at Modhera is the most important of all sun-temples built in the whole of Gujarat. It enjoys the same acceptation as other two well known sun-temples in Kashmir (Martand) and Orissa (Konark). It is one of the finest architectures of the 11th century. One of the best features of the temple consists of the carved torana arches. 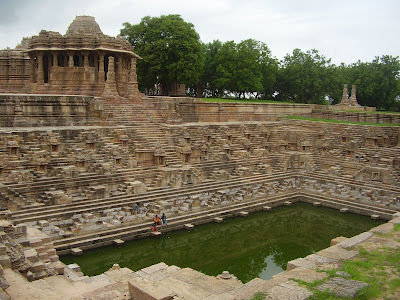 Modhera or Modherapura also known as Mundera is said to have been the original settlement of modha Brahmans. Having its storied past relating to the Ramayana it is further believed that modha Brahmans received Modhera as a krsnarpana on the occasion of the marriage of Rama and Sita. According to the Skanda Purana after beat Ravana, Lord Rama consulted Muni Vasishta to show him a place of pilgrimage where he could go and purify himself of the sin of Brahma hatya (the dispatching of a Brahman). The Muni established him dharmaranya. The Modhera sun temple enclose three main chambers, specifically Surya Kunda, Sabha Mandap and Guda Mandap. Surya Kunda is esantially a beautifully carved stepped tank that was named after Sun God. This 100 sq meter rectangular tank was utilized to store neat water. The devotees used to take a halt here for ceremonial ablutions before moving towards the temple. Sabha mandap is the hall, where people gather for discussions on religious topics. This hall is open from all the four sides and has 52 delicately carved pillars. The difficult carvings depict scenes from the Ramayana, Mahabharata (Indian Epics) and scenes from the life of Lord Krishna. Guda Mandap is the sanctum sanctorum, also known as the main temple. The carved walls also depict the aspects of human life like the vicious sphere of death and birth. The coloring of this hall was remodeled in the recent years. The Temple was ruined by Mahmud of Ghazni. From the torana a flight of steps leads down to the Surya kund in front of it. Outside this sabha-mandapa are two pillars of a torana from which the arch is missing.The Surya-kund also known as Rama-kunda is rectangular and measures 176 feet north to south, by 120 feet east to west. On its sides and corners are various little holy places with the pictures of divine beings and goddesses namely Goddess Shitala, Jalasayi Vishnu, Trivikrama etc. Modhera is presently the site of certain dance and cultural festivals. The sun temple and the climate here provide a majestic backdrop for the exhibition of performing arts. The Sun Temple located to 102 kms from Ahmedabad on the bank of the river Pushpavati. 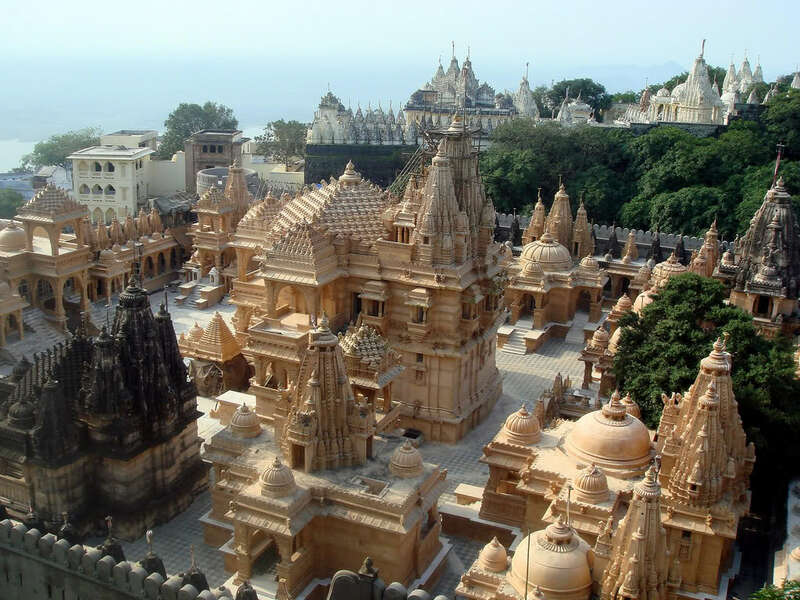 Palitana is related with Jain convention and history. Adinath - is the first of the Jain "Tirthankaras", is said to have ruminated on the Shatrunjaya hill, where the Palitana temples were later formulated. There are in total 863 temples from base to the peak of the Shatrunjaya hill, where the Palitana temples are located. The path is climbed through 3950 steps spanning 3.5 km up the Shatrunjaya Hills. Palitana constructed within a span of 960 years. The most famous temples are those of Adinath, Kumarpal, Vimalshah, Samprati Raja and the Chomukh which is the highest. Besides there are temples dedicated to Hindu gods and goddesses like Saraswati, Shivji, Hanumanji, etc. The Saraswati temple is near the foot of the hill. Angar Pir's shrine is situated at the top of the hill. Barren women pray for children at the Muslim saint's shrine. The largest temple built in 1618 is that of 4-faced Adinath. These temples were built in two phases-the 11th and 12th centuries as a part of the resurgence of temple building all over India, and in the 16th century. Some of the earliest temples built in the 11th century were destroyed by Muslim invaders in the 14th and 15th centuries. The current temples date back to 16th century onwards. Not any one person or group was responsible for the construction of these magnificent temples. The sculptures that adorn the marble temples present a feast to the eyes. Palitana located 55 km south west of Bhavnagar.